The month of May featured a host of fine and performing arts events here at Browning. Musical performances, the Kindergarten, Grade Two and Encore plays, as well as the Grade Four embroidery exhibit made for a very merry month! Robust participation from Kindergarten through Form VI boys filled the halls of Browning with music! Four Lower School recitals, two Middle School recitals and one Upper School recital featured over 100 Browning students singing and performing on various instruments, including piano, violin, viola, cello, guitar, saxophone, trumpet and drums. A Browning School “musical first” on the evening of May 9 enjoyed great success when the great Italian composer Guiseppe Verdi was highlighted in a compelling presentation by Verdi aficionado August Ventura. 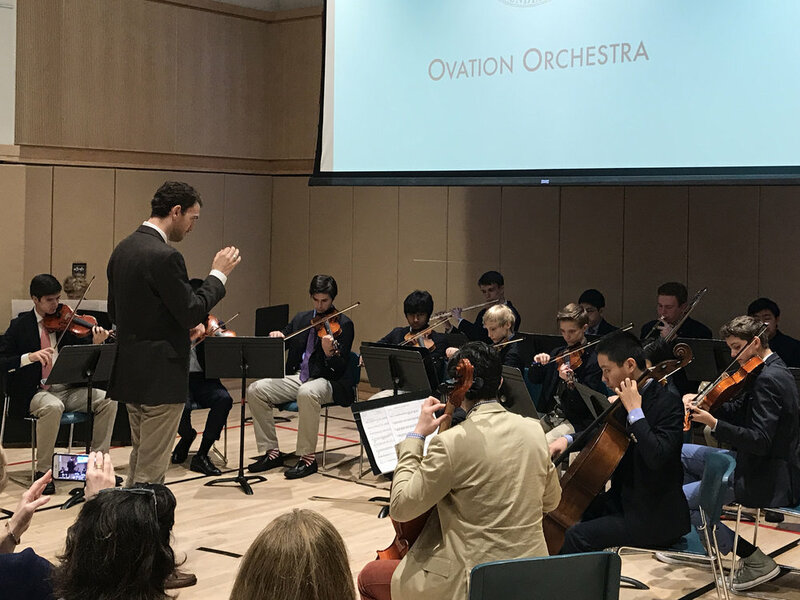 During this well-attended event, the Ovation Orchestra under the direction of Jonathan Ragonese and the Upper School Chorus under the direction of Middle and Upper School Music Specialist Richard Symons each performed a signature Verdi work. 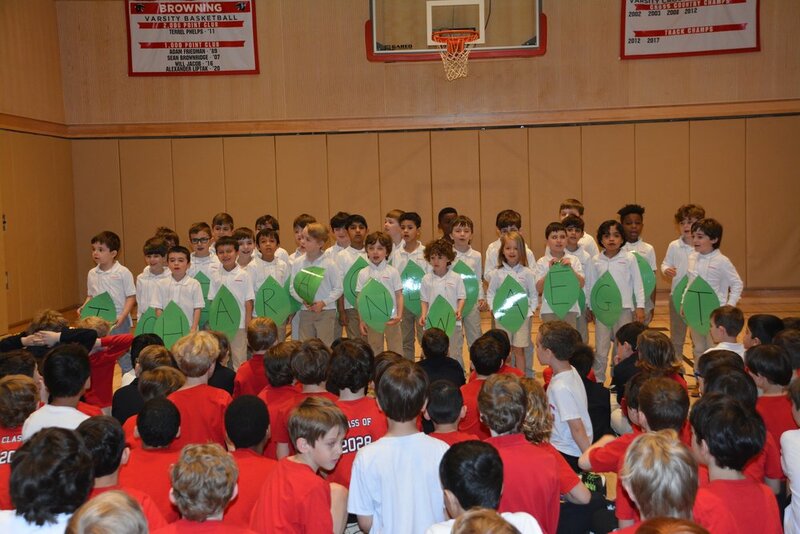 The Kindergarten boys and second graders also displayed their stage skills when they presented “The Alphabet Tree” and “14 Cows for America,” respectively. “The Alphabet Tree,” based on the book by Leo Lionni, is full of leaves and letters, explained Kindergarten teacher Caitlin Coleman. The letters learn to work together to make words and sentences that they can share with others. Eventually they discover that the most important messages they can share are about friendship and kindness. The boys began their embroidery unit by studying textile arts of Palestine and Molas created by the Kuna people of Panama. In both cultures, artists use symbolism in textile arts to express information about their identity, family and experiences. The students analyzed artworks to decipher information about the artists based on the symbols they could see. They then created a symbol to represent their home, family and something they like to do, devising a design that expressed their own lives and experiences. They transferred their designs onto burlap and embroidered using needles and yarn. Throughout the project, the students learned different stitches; some favorites included the running stitch, chain stitch, whip stitch, cross stitch, French knots and threaded stitches. Many took the skills they learned through mastering these stitches to invent their own! During their time spent embroidering as a class, they helped each other thread their needles, cut their yarn and master difficult stitches. By completing this project, they mastered the challenging textile art of embroidery to create their artworks. Older PostPanthers Finish Banner Year With More Banners!